Mr. Carter Eltzroth is a Senior Consultant with CMG. He has over 26 years of experience in smart grid and communications technologies. He is a lawyer. Expertise – General Management, Business Transactions, Business Models, Commercialization, Standardization, Business Strategy, Regulatory Arbitrage and Legal Issues Associated with New Technologies, and Novel Licensing Frameworks. CMG Frameworks – Strategy and Scenario Planning, Go-To-Market Planning, and Smart Grid Governance. Mr. Eltzroth is a founding member of the Smart Grid Interoperability Panel (SGIP). He is a member of SGIP’s Nominating and Governance Committee and is chairman of its IPR Subcommittee. He has been responsible for the development of the intellectual property rules governing SGIP. Since the early 1990s, Carter Eltzroth has been involved in new communications technologies, the development of technical standards, their implementation and market launch. Mr Eltzroth is also the Legal Director of the DVB Project, which sets technical standards for digital video broadcasting and related fields. 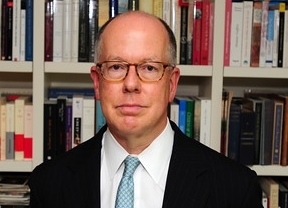 Previously, Mr. Eltzroth was General Counsel for Nethold, where he was responsible for the legal issues relating to the first launch of digital broadcast services within Europe, including licensing of technology, integration of the digital chain (compression, conditional access, mux, uplink, set-top box customer care systems) and content acquisition. Nethold was a leading pay TV provider across Europe before its acquisition by Canal Plus. In private practice (in addition to DVB), Mr. Eltzroth has advised the Institute of Electrical and Electronic Engineers on novel licensing structures for patents essential to IEEE’s 802.11 standard. Mr. Eltzroth clients have included multilateral institutions such as the World Bank and the World Intellectual Property Organisation. Previously, in private practice at Shearman & Sterling and Morgan Lewis & Bockius, Mr. Eltzroth was involved in financing and M&A transactions, including deals for the financing and construction of alternative sources of energy. Mr. Eltzroth teaches Patents and Standards as an adjunct professor at American University in Washington and has published frequently on standards and licensing. Mr. Eltzroth is an arbitrator for the World Intellectual Property Organisation. Mr. Eltzroth has an MA in Literary Humanities from Oxford and a JD from Columbia’s School of Law. Mr. Eltzroth is a member of the New York bar and a Senior Member of IEEE.